Since 2000, Hatteras Venture Partners has been in the business of building and investing in transformational health care companies. Through five funds and over $550 million under management, the firm has invested in breakthrough science and entrepreneurial grit in the areas of biopharmaceuticals, medical devices, diagnostics, healthcare IT, and related opportunities in human medicine. The State-funded Venture Capital Multiplier Fund (or “VCMF”) is a pool of capital allocated to co-investments in North Carolina Nexus companies. NC Nexus companies are those that: a) are headquartered in NC, b) have significant operations in NC, c) are commercializing intellectual property developed in NC, or d) as a result of investment, would initiate, expand, or restructure significant operations in NC. These investments are either co-investments in NC Nexus Hatteras portfolio companies, or investments made alongside institutional funds with whom Hatteras has established a co-investing relationship. The goal of CRV is to unlock the potential of UNC-Chapel Hill technologies and advance the commercialization of these technologies by providing early-stage capital and industry expertise. The fund began in 2016 and expects to make three to four investments per year. 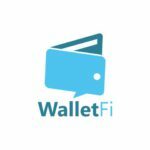 WalletFi’s mobile technology allows users to easily identify and move recurring charges, subscriptions, and card-on-file (CoF) payments across cards in their digital wallet. Most importantly, WalletFi reduces customer churn for banks and financial institutions while also increasing Millennial engagement and reinforcing top-of-wallet status. 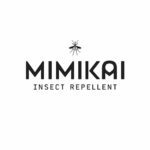 Acquired by Press Ganey Associates in January 2018. 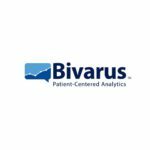 Bivarus is a healthcare IT company that has developed an elegant and efficient patient survey platform to improve quality metrics and drive additional revenue for providers. The Company’s platform enables real-time patient-generated data for administrators to act upon in order to improve their operations as well as patient satisfaction and retention. The SHAPE-MaP technology developed in the lab of Dr. Weeks identifies functional motifs within RNA by mapping the RNA three-dimensional structure. By using three-dimensional RNA structure, the platform enables targeting of thousands of previously undruggable RNAs, expanding the druggable genome by 60-fold. Structures acquired from this platform will be used to develop small molecules that bind functional and therapeutically relevant regions of RNA. IPO in May 2017 (NASDAQ: GTHX). 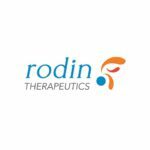 Developer of novel, small-molecule therapies for the treatment of cancer designed to address significant unmet needs in the treatment of cancer. 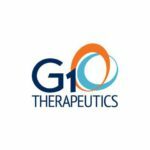 The company’s small-molecule therapies focus on cyclin-dependent kinases and CDKs, a family of proteins that play an important role in the growth and proliferation of cells, enabling the medical industry to treat cancer. Kymera is developing a heterobifunctional small molecule drug platform to target previously undruggable proteins for degradation. Using a new therapeutic modality, Kymera’s therapeutics redirect the ubiquitin proteosome system for targeted protein degradation. A developer of multiple antibiotic drugs intended to combat antimicrobial resistance. The company’s technology is focused on targeting the treatment of infectious diseases for both inpatient and outpatient cases. 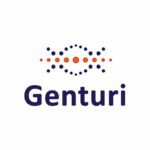 GeneCentric is focused on the development and commercialization of novel molecular diagnostic assays that enable oncologists and their patients to make more informed, individualized treatment decisions. 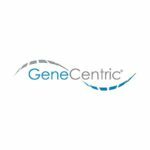 GeneCentric brings together innovative science solving today’s critical interpretive needs with experts in diagnostics and is led by Myla Goldman, MD, former chief medical and scientific officer of LabCorp. 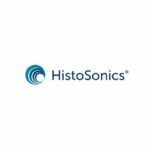 Acquired by PerkinElmer (NYS: PKI) in March 2011. 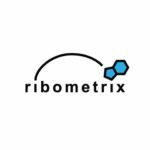 Developer of scientific data management software designed to enhance workplace collaboration and accelerate the rate of drug discovery. 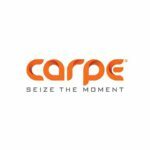 The company offers Ensemble for Life Science, an on-demand software platform, that blends social networking, collaboration, and refined scientific data mining to assist internal and external research communication and management. It provides Ensemble Electronic Lab Notebook that allows users to capture experimental data, results, and decision support needs for their organization medicinal chemistry, biologists, and bio-analytical departments; and Ensemble Toolkits, enabling users to integrate components utilized inside platform technology into their application or environment. Developer of health engagement platform intended to connect families to health resources on the smartphone. The company’s platform includes mobile maternity program that uses self-reported data to identify high-risk pregnancies and drive interventions by delivering customized tools and content, enabling users to promote healthy pregnancies, track family health and support the growth of each family member based on their individual health needs over time. Developer of therapies based on metalloenzyme chemistry and biology platform. The company focuses on the discovery, development, and commercialization of novel therapeutic agents that target metalloenzymes or interfere with the cell’s ability to effectively utilize critical metal ions including zinc and iron for invasive and hospital-based fungal infections, cancer, cardiovascular and orphan diseases, enabling the patients and clinicians to provide greater selectivity and safety as well as improved potency compared to currently available therapeutics. Developer of novel engineered compounds designed to corneal dystrophies, improve human health and create new therapies using drugs developed with protein engineering. The company’s therapeutic application is developed using a regenerative approach based on novel engineered derivatives of fibroblast growth factor-1 (eFGF-1) to treat endothelial cell mediated diseases, including Fuchs dystrophy and other serious endothelial cell diseases. 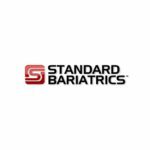 Standard Bariatrics is developing a clamp and stapler to standardize sleeve gastrectomy procedures, the most widely performed weight loss procedure today. The company’s surgical tools are FDA Cleared and are used in conjunction with current general use endoscopic staplers that have 6cm reloadable cartridges, which also reduces the number of cartridges used in a sleeve on average from 6 cartridges to 4 cartridges, enabling surgeons to reduce costs, standardize their approach and create great sleeve anatomy every time. 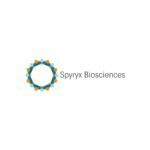 Spyryx Biosciences is developing inhaled therapeutics for the treatment of Cystic Fibrosis and Chronic Obstructive Pulmonary Disorder (COPD), designed to restore a natural mechanism for maintaining proper airway liquid volumes in the lung. Rodin is developing a differentiated approach to Alzheimer’s through targeted epigenetic regulation of synaptic function and health by HDAC complex modulation. Developer of epigenetic drugs intended to be used for the treatment of cognitive disorders and diseases of the brain. The company’s epigenetic drugs are harnessing the power of epigenetic regulation of neuronal function by HDAC complex modulation, enabling patients to restore synaptic function, health and survival in degenerative brain diseases. 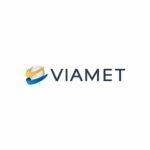 Acquired by Zhejiang Hisun Pharmaceutical on February 2012. Provider of drug delivery and development services. 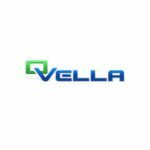 The company is a respiratory drug delivery and development company serving the pharmaceutical, biotechnology and diagnostic industries. 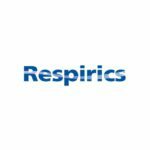 It has developed a proprietary dry powder respiratory drug delivery system that can incorporate a range of drug products to treat respiratory diseases as well as other diseases where systemic drug targeting is required. Developer of a molecular diagnostics technology designed to dramatically reduce time to results in microbiology. The company’s Field Activated Sample Treatment (FAST) technology uses a novel electrical lysing and sample treatment technique that enables the rapid detection of infectious agents in a direct blood sample, enabling clinicians to detect and identify micro-organisms in infected whole blood samples without the need for culturing or time consuming sample processing. PhaseBio Pharmaceuticals, Inc. (“PhaseBio”) was founded to commercialize applications of elastin-like polypeptides (ELPs), whose properties give them utility in a variety of applications in human medicine, including production, purification, and delivery of protein and peptide therapeutics. ORIG3N is commercializing a personalized, regenerative medicine platform utilizing induced pluripotent stem (iPS) cells. The company’s lead product is called LifeCapsule, a direct-to-consumer iPS cell storage business. 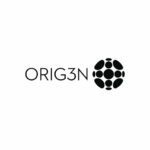 Additional product lines for ORIG3N include LifeProfile, a series of personalized genetic tests, and LifeSystems, which involves the sale of cellular models for both industry and research purposes. Operator of a biopharmaceutical agency intended to offer drugs for the treatment of diabetes and other metabolic disorders. 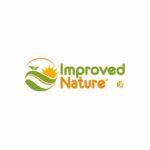 The company’s platform combines natural compounds with various pharmaceutical agents, enabling healthcare professionals to use natural compounds to create synergy with known pharmaceuticals to prevent and treat chronic diseases resulting from over-nutrition and aging. 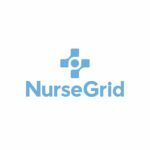 Developer of staffing, communication and schedule management tools designed to modernize staffing processes for healthcare facilities. The company’s simplified schedule management tools help healthcare departments to manage schedules, fill open shifts, increase staff satisfaction, and boost retention enabling healthcare facilities to uniquely engage and connect with nurses to make their lives easier, to drive a broad set of efficiencies, and for health system customers to improve employee retention and job satisfaction. 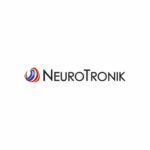 NeuroTronik is a medical device company developing a novel neuromodulation therapy for patients suffering from acute decompensated heart failure. 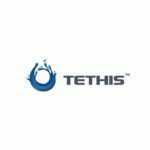 The Company’s products are being designed to independently stimulate nerves in order to affect blood pressure, heart rate, and cardiac output. The intended use of the therapy is at the bedside of an acute heart failure patient in an intensive care setting. Provider of patient experience platform designed to facilitate the relationship between physicians and patients. The company’s patient experience platform focuses on the optimal patient experience for paying a bill, requesting a prescription renewal, or asking a question thereby enabling healthcare facilities to operate more efficiently and effectively. Developer of innovative neurodegeneration small-molecules intended to establish a unique and effective platform for novel drug discovery. 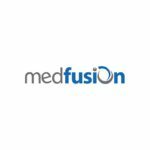 The company’s innovative neurodegeneration small-molecules leverages the clinically validated link between lysosome-based genetic disorders and neurodegenerative diseases, enabling health institutions to avail provision of new treatment options for patients with severe neurological diseases. Founded by pediatricians, developing medical content in an educational format embraced by children. Selling disease-focused books, videos and other content to marketing departments of pharma companies, hospitals, and consumers. Innocrin is developing novel, best-in-class oral inhibitors of CYP17 lyase, an enzyme involved in the production of androgens and estrogen. Lowering androgen levels is a clinically validated method of treating prostate cancer, and may also provide potential benefit in treating some patients with breast cancer as well as non-oncologic syndromes that are due to hormonal excess, like endometriosis, polycystic ovary syndrome and congenital adrenal hyperplasia. Provider of a histotripsy platform designed for the treatment of cancer. The company’s platform uses robotically assisted non-invasive, pulsed sound energy applied from outside the body, which can be used to destroy tissue at the cellular and sub-cellular level, along with an embedded imaging array that provides real-time visual feedback of tissue destruction, to safely, precisely and effectively destroy unwanted tissue throughout the body, reducing patient trauma and healthcare costs. 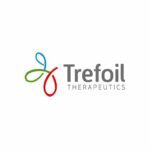 Developer of injectable controlled release technologies designed to reduce the frequency of dosing for ocular therapies. The company’s injectable controlled release technologies provide therapeutic levels of sunitinib in preclinical studies reducing the potential frequency of dosing in neovascular age-related macular degeneration (nAMD) from every 4-8 weeks to as few as twice per year, enabling patients to access improved treatment of ocular disease. Developer of biologic and medical device technologies for wound management designed to improve the safety and availability of human blood supply. The company’s biologic and medical device technologies work through pharmaceutical agents that offer enhanced safety and equivalent efficacy for transfusion recipients through the reduction of non-enveloped viruses and elimination of pro-inflammatory factors that can lead to morbidity and mortality, enabling doctors to address the unmet needs in military healthcare involving wound management, tissue repair and hemorrhage control. Acquired by Edwards Lifesciences (NYSE: EW) in March 2011. 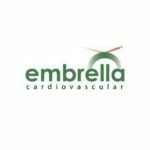 Developer of a system to enhance embolic cerebral protection, enabling interventionalists to reduce the frequency of embolic strokes during cardiovascular procedures. 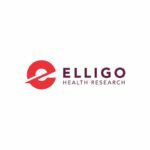 Provider of a clinical research platform intended to revolutionize the clinical research industry with a novel approach to common trial challenges including patient participation and enrollment and physician participation. The company’s platform breaks down these barriers by providing access to the 97 percent of physicians and patients who do not currently participate in clinical research and by using electronic health records, finds and identifies patients for studies, then provides physicians with the personnel, procedures, technology and infrastructure necessary to conduct the trial in their own clinics, enabling physicians to conduct more efficient and cost-effective trials and gain access to new treatment options, resulting in bringing new therapies to the market faster. Developer of a technology designed to extract highly sensitive nucleic acid quantification. The company’s technology uses power of digital PCR in cancer screening and monitoring, point-of-care diagnostics and viral load quantification applications, enabling researchers to get more accurate data, reduce labor cost and make confident decisions. Provider of genomic and biomedical computing platform intended to empower scientists and clinicians to focus on making breakthrough discoveries and delivering real-world care. The company’s genomic and biomedical computing platform enables patient-level genomic and health data to be securely accessible for drug development and precision medicine, enabling scientists and clinicians to manage, process, analyze and share massive biomedical data sets for everything from genomics to imaging. 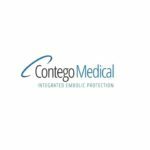 Contego Medical has developed a platform based on the integration of an embolic protection filter and a treatment device into one single catheter. By offering embolic protection on the same catheter as a balloon or stent, patients are offered a safer procedure without adding time, complexity, or expense. 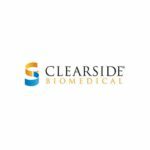 Acquired by BioClinica on January 19, 2016. Developer of an online platform for clinical payments. The company offers a digital payment network that links sponsors to investigators for auditing payment records and compliance. 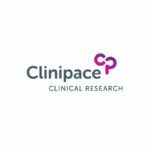 Clinipace is a clinical research organization whose services are enhanced by a proprietary on-demand software platform and clinical research services for phase I-IV clinical trials, registries, and investigator-initiated grant management programs. 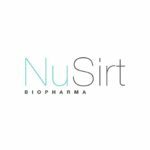 The Company primarily serves emerging and mid-market biopharmaceutical and medical device companies as well as academic medical centers. IPO in June, 2016 (NASDAQ:CLSD). Manufacturer of late-stage clinical biopharmaceutical products created to offer innovative first-in-class drug therapies to treat blinding diseases. The company’s late-stage clinical biopharmaceutical products provide a non-surgical application for dosing drugs to distinct eye tissues, such as retina, trabecular meshwork and corneal stroma through an ocular micro injection platform enabling patients suffering from sight threatening diseases such as uveitis, retinal vein occlusion, diabetic macular edema and wet age-related macular degeneration to avail potentially meaningful treatment benefit. Developer of a drug conjugate therapies designed to improve on the safety and efficacy of contemporary antibody drug conjugates (ADCs). 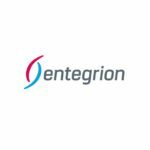 The company is assembling a proprietary suite of assets that will develop tunable drug conjugates in order to achieve an optimal Therapeutic Index (TI), delivering anti-cancer medicines inside the tumor cell and within the tumor microenvironment while minimizing toxicities to the patient and directly targeting the delivery of toxins to tumors. 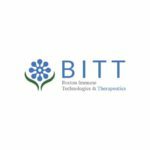 Boston Immune Technologies and Therapeutics (BITT) is a Boston-based biopharmaceutical company developing immune-based approaches for the treatment of cancer and infectious diseases. 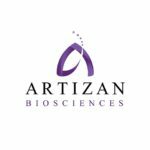 Artizan is a biopharmeceutical company founded to address diseases involving microbiota in the human intestines that cause diseases such as IBD (inflammatory bowel disease). Artizan is developing a platform to identify the disease-driving bacteria in IBD with the goal of providing new treatment for conditions such as Crohn’s disease and ulcerative colitis. Developer of a healthcare management software designed to help hospital pharmacy team improve medication shortage. 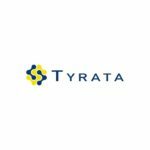 The company’s software facilitates users to easily visualize, optimize and customize their rapidly expanding portfolio of pharmacy automation systems regardless of vendor, enabling healthcare professionals to manage the workflow and data challenges of ongoing medication shortages. 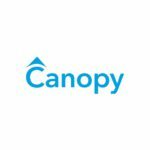 Canopy is disrupting a large, fragmented, and stagnant market, creating a modernized home lawn care experience for customers. 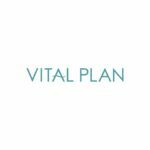 Two-fold growth opportunity through organic and word of mouth and also growth plan to quickly capture market share in cities across the Southeast and out to the rest of the U.S. Efficient systems and operations platform and partnership with Lowe’s creates a scalable business that can rapidly expand sticky customer base, with over 50% over current customers buying into full service modules. Operator of a health supplements company intended to offer natural supplements for various diseases. 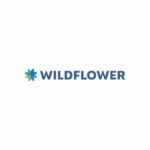 The company’s supplements are made from all natural ingredients such as lutein, melatonin, bacopa, allicin, vitex and garlic and it also provides health information to users, enabling individuals to intake organic supplements and recover diseases. 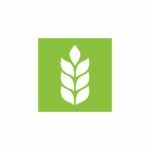 Agtech Accelerator – Vindara, Inc. Addressing the strategic ATA technology scouting pillar “Novel Farming Systems”, Vindara seeks to address the breeding and biotechnology gap in the vertical farming market. Combining IP enabled genetics into commercialized form factors leverages ATA’s expertise in plant science while capturing the largest value within the food supply chain. Owner and operator of a sensor development and data management company intended to provide report on vehicular tire tread-wear in real time. 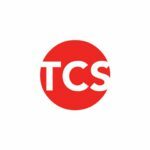 The company’s sensors are wireless utilizes sensor technology using carbon nano-tubes and can signal to replace tires or report information about uneven and often dangerous tire wear conditions, enabling users to maintain and keep a track of wear and tear of their automobile tires. 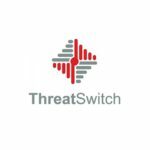 Developer of a Saas-based cybersecurity software intended to manage security compliance. 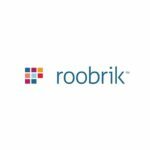 The company’s software permits building a compliant against insider threat program, track training, manage reporting requirements and prepare for inspections, enabling security managers at federal contractors to stay compliant with NISPOM regulations. Owner and operator of a technology company intended to use humanity’s science and technology to solve climate problems. The company’s climate risk analytics software quantifies financial impact of climate on investment portfolios using machine learning, big climate, socioeconomic data and available physical or economic science, enabling business leaders to measure, monitor and manage their climate risks and opportunities. Developer of biodegradable foams and powders designed to remove salt and minerals from industrial and naturally occurring brines. The company’s biodegradable foams and powders binds with dissolved salts, minerals and other materials, helping it to get removed from waste water, enabling governments and industries recycle water in an eco-friendly and cost effective manner. 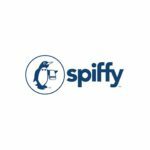 Born & raised in North Carolina’s Research Triangle Park, Spiffy has always had an affinity for technology. The Spiffy app allows customers to conveniently schedule, track and pay for high-quality car washing services at the time and location of their choosing. No longer do consumers have to deal with inconvenient, inconsistent and frustrating visits to fixed car wash locations. 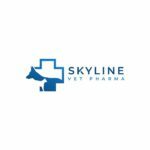 With Spiffy, customers can do more than just wash their car with their phone – Spiffy turns any parking space into a car wash.
Skyline Vet Pharma is a veterinary pharmaceutical company that uses new delivery technologies to reformulate drugs with established animal health markets. Their innovation comes from the methods of drug delivery in animals as opposed to drug discovery. Developer of online decision tools designed to simplify later-life decision making for the aging and their caregivers. The company’s online tools platform helps older adults and their families make informed long-term care decisions around issues like driving, home safety and dementia, enabling families to improve health and wellness outcomes to lower costs for all stakeholders in the continuum of care. 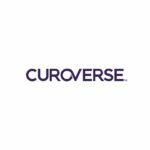 Developer of an AI platform intended to provide the accuracy and security features necessary for enterprise applications. The company’s platform uses a virtual assistant, enabling clients to increase customer engagement, employee productivity and ecosystem collaboration. 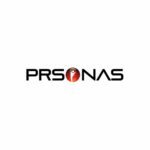 PRSONAS has focused their initial product efforts on holographic displays for use in the office environment (as virtual receptionists), for product display and demonstration in trade show applications (virtual product specialist), and for concierge services. Mati Energy is a Durham, NC-based LLC that provides a healthy energy drink for consumers that want a healthier and more effective alternative to traditional caffeinated/energy drinks such as coffee, Red Bull or Monster. 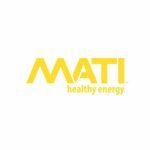 Mati is brewed from the second most caffeinated plant in the world behind coffee, Guayusa, which is incredibly rich in antioxidants, potassium, magnesium, amino acids, and theobromine. The duration of the heightened intensity is longer than coffee or the more well-known energy drinks. 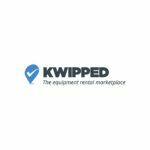 Operator of a community marketplace for businesses to locate, discover and rent specialized equipment. The company operates an online equipment rental marketplace where businesses can locate and rent the equipment they need from a global network of suppliers. Producer of meat sybstitute food products. 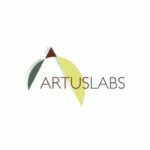 The company specializes in producing and selling vegetable-based meat substitute products that can be breaded, baked, stir-fried, fried, grilled, sautéed, or microwaved. 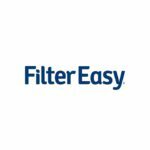 FilterEasy provides scheduled shipments of airfilters directly to your home. Many american’s don’t have a service to change their filters. As a result, their filters go unchanged for months and even years. The complications of not changing your homes airfilter range from efficiency of heating and cooling your home, to potenital air quality risks. FilterEasy is out of Raleigh, NC and has found a way to get more people to change their airfilters and at an affordable rate. 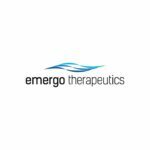 Emergo Therapeutics is reformulating existing drugs for the treatment of symptoms caused by inflammatory response in influenza like illnesses. They are focused on developing drugs to modulate inflammatory cytokines and improve immune system response in infectious disease indications as an adjunct treatment to existing antiviral medications. Manufacturer and seller of an antiperspirant hand and foot lotion created to stop sweat in one’s hands and feet. 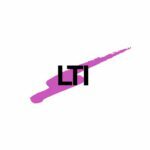 The company’s lotion is a non-greasy, no-residue and no-irritation product containing natural eucalyptus oil to give a smooth feel, enabling customers to get rid of the problem of sweaty hands and feet in a safe, effective and easy way. 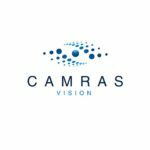 Camras Vision is currently developing a glaucoma therapy that is intended to not only circumvent the complications present with glaucoma surgery, but also to provide ophthalmologists with the first tool that can stop the progression of glaucoma. The key innovation of the Camras Shunt is that it drains aqueous humor externally, thereby avoiding the complications and failure due to scarring within the drainage site that is associated with all other incisional/shunt surgeries. Boragen is a small molecule development company located in Durham, NC focused on leveraging the unique chemical properties of Boron chemistry, both in crop protection and animal health. 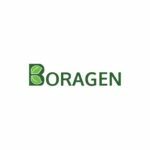 The chemistry platform developed by Boragen focuses on reducing pesticide use through innovative, synergistic combinations. 410 Medical is dedicated to developing innovative products that help emergency clinicians provide better care for critically ill patients. 410 Medical’s first product, LifeFlow, is designed to enhance the speed and efficiency of fluid resuscitation, improving care for patients with life-threatening conditions such as shock and sepsis. LifeFlow received FDA clearance for human use in 2016.